The Minnesota Vikings narrow 14-13 victory over the Detroit Lions on December 29, 2013 signaled the final game in the 31-year history of the Hubert H. Humphrey Metrodome in Minnesota. My lasting memory of the Metrodome was Kirby Puckett circling the bases in the 11th inning of Game Six of the 1991 World Series, while Jack Buck screamed, "We'll see you tomorrow night!" Selected former Minnesota Twins alumni shared their thoughts on the closing of the Metrodome on Twitter this week. Feel free to add your own, or share those of other Twins alums. 2006 I was 23 yrs old, 2 weeks in MLB. Johan Santana on mound for game 1 of ALDS. A moment I'll never forget. That said; blow the place up. No more metrodome, sad to say it. What a great place. @dbremer_pxp I'm gonna shed a tear. 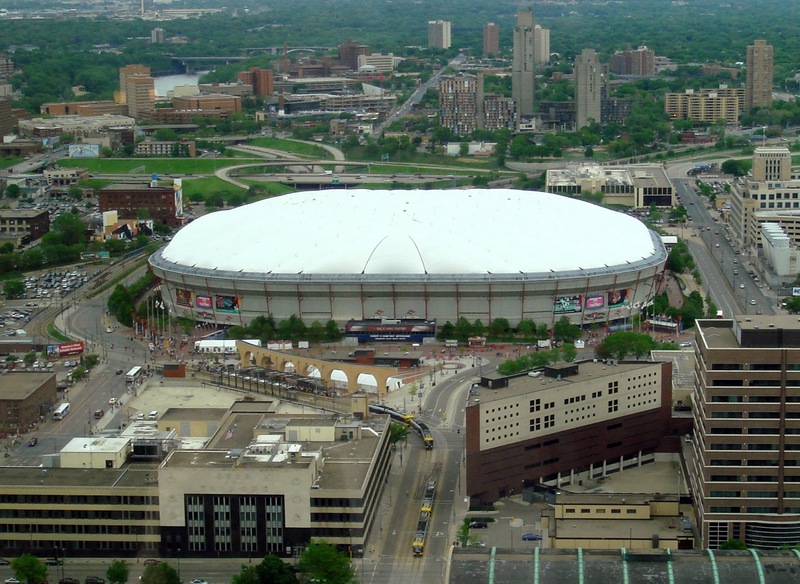 Twins lost their final games at the Met and the Dome, Vikes their final game at the Met. Finally, a fond farewell.